By Ashutosh KS in Desktop. Updated on November 22, 2017 . Editor’s note: This post has been updated. More apps are added and error links are fixed. Portable apps are the software requiring no installation unlike usual executable apps yet recall your history and configuration options unlike zipped apps. In this post, we’re showcasing the top 100 useful portable apps that you can carry in a pen drive or your phone’s storage or SD card. Portable apps for Windows platform lets you carry your favorite apps along with you on the go – with all the data and settings, ready to be launched at a click on any computer running Windows XP or above. Let’s check the best 100 portable apps that prove helpful for everyone, listed categorically below for easy access. Geany Portable. Lets you work with vanilla text, HTML, Python, NSIS and many more files. It even lets you configure and use locally available compilers from your flash drive. 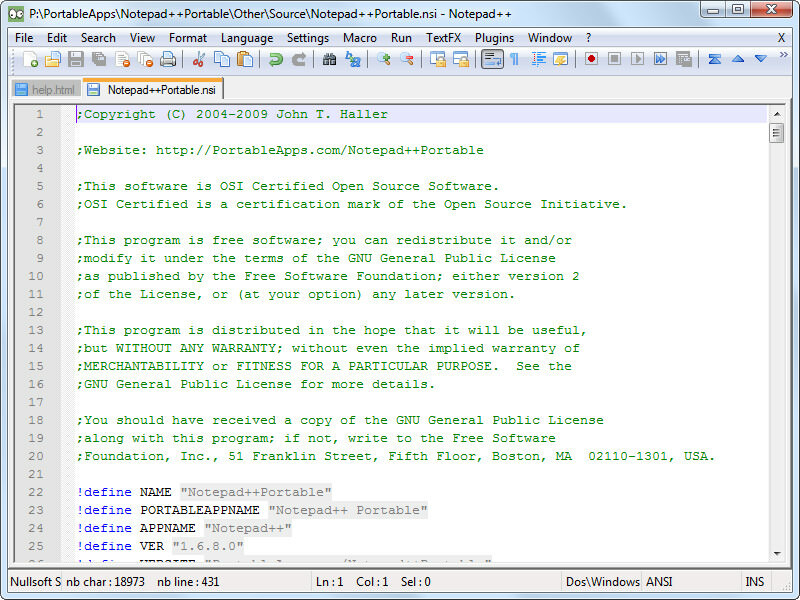 Notepad++ Portable. Lets users code programs and create software in various languages. It supports syntax highlighting and folding for navigation, and plugins for more functionalities. Database Browser Portable. Helps you manage, view and edit any database on the go. 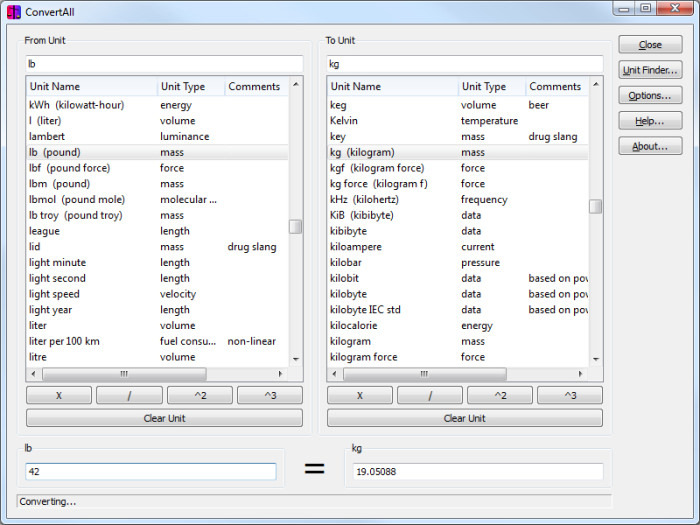 You can even export data to CSV or HTML files, and access the database in multiple formats. Cppcheck Portable. An analysis tool that detects bugs in C/C++ languages. The tool doesn’t detect syntax errors but does code analysis and helps write more efficient language. NSIS Portable. 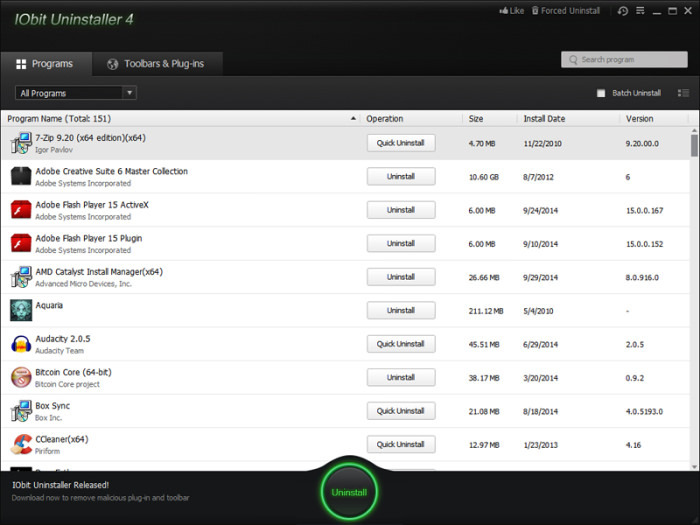 Create executable installers and launchers for your software distributions. Sqliteman Portable. Create SQLite3 databases with a feature-rich set of available tools. It supports major platforms and is a complete access and tune-up tool for SQLite. 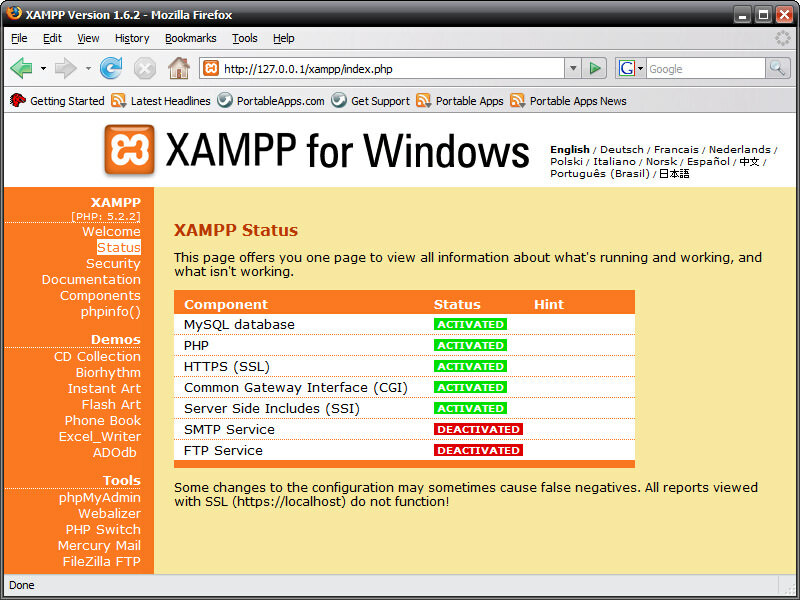 XAMPP. A cohesive server package of MySQL, Apache, PHP, etc. It pre-configures itself and lets you create test environments for your development works. Artha Portable. An offline and handy thesaurus that offers you quick access and lookups with a hotkey. It runs in the background and shows up as you highlight a word in any app. Marble Portable. A virtual atlas that lets you pan and zoom, and view places and roads. Provides the Wikipedia link for a clicked place. Stellarium Portable. An program that lets you study astronomy: space, solar system and its planets, stars and constellations, galaxies and much more. TIPP10 Portable. A touch-type tutor consisting of a special artificial intelligence feature for beginners to make them practice letters easily and efficiently. AniFX Portable. A handy cursor editor that helps you create, extract and edit cursors with multiple effects and animations. Blender Portable. 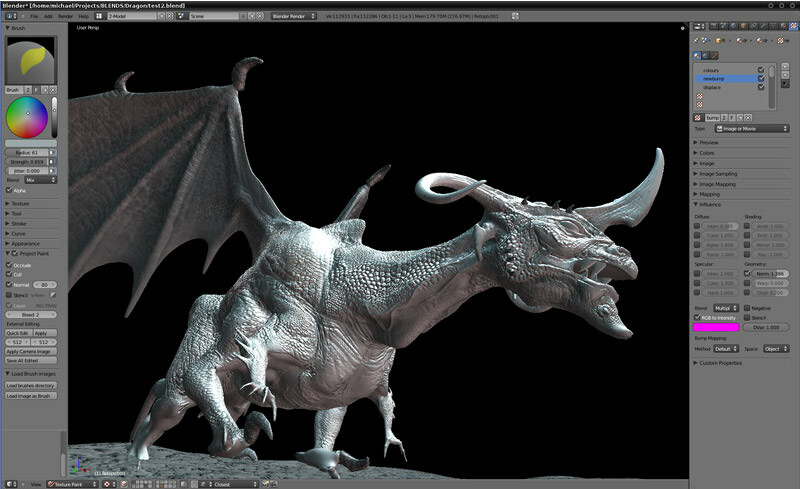 An open-source tool for rendering, shaping, animating and creating 3D models that can be created and used anywhere. Caesium Portable. Lets you convert and optimize multiple image formats. It also compresses images to save memory on your hard drive and upload images faster. FotoSketcher Portable. A full-featured photo management tool that also lets you create amazing artworks from your digital photos. 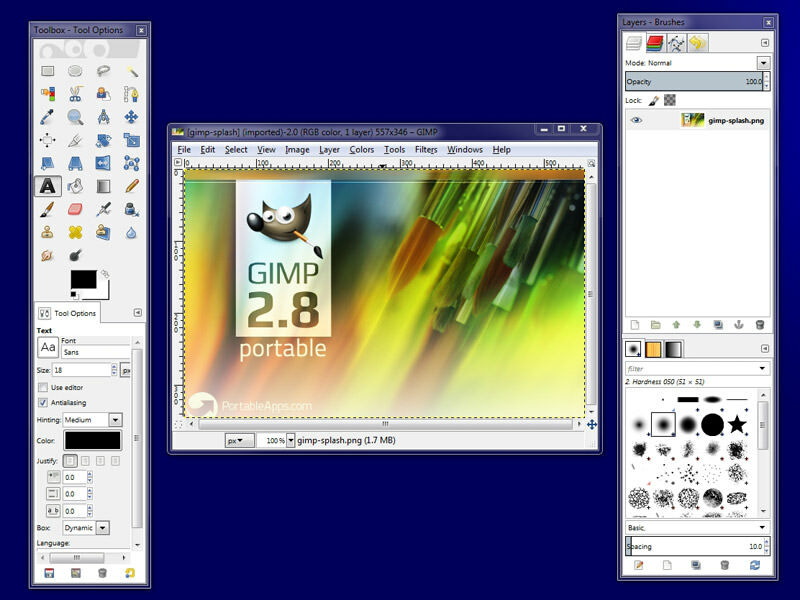 GIMP Portable. 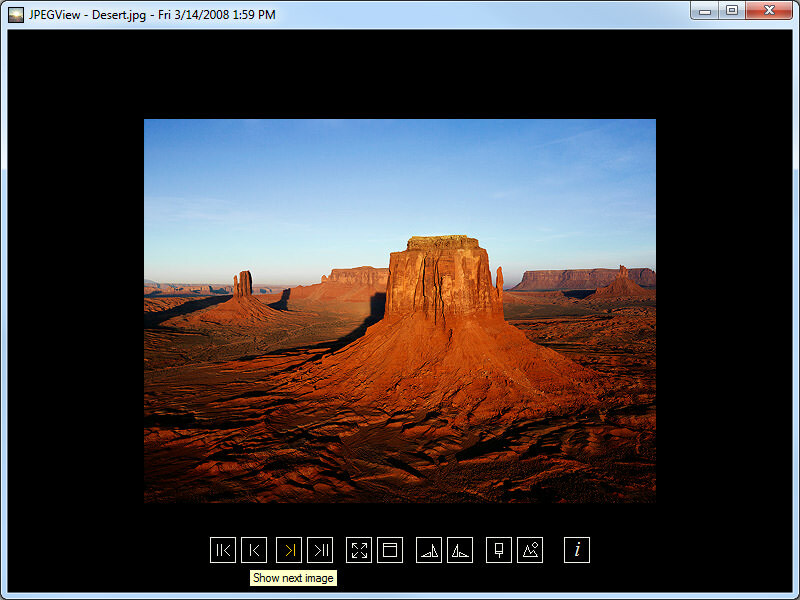 A powerful image editor that allows editing images on the run. It supports photo composition, retouching, image authoring, applying filters and much more. IcoFX Portable. A handy icon creator and editor just like AniFX, and is considered as an all-in-one icon management tool. Inkscape Portable. An open source vector image editor, which is similar to Adobe Illustrator or CorelDraw though it’s not that powerful. IrfanView Portable. A lightweight graphic viewer for Windows that supports viewing vector graphics, pictures, animations, icons and more files. JPEGView Portable. A fast and handy image viewer and editor that supports JPEG, BMP, GIF, PNG, TIFF and more image formats. LibreCAD Portable. A 2D computer-aided design tool that supports more than 20 languages. Used by an extensive community of designers. PicPick Portable. A full-featured screen capture tool, and also an image editor that offers a range of features and tools to enhance images and modify them. 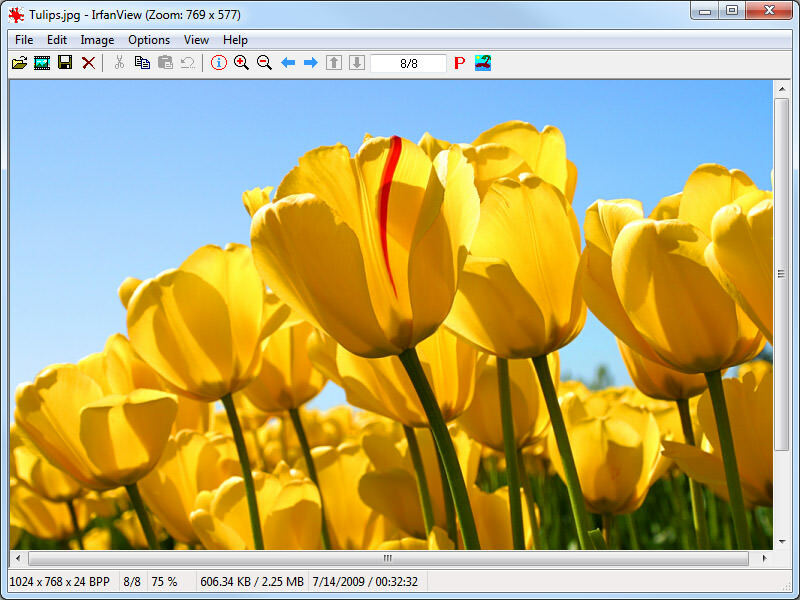 XnView Portable. A user-friendly image viewer and converter to help you view photos or slideshows, alter and edit your images on the move. DamnVid Portable. Easily download and convert videos from the popular video sharing channels like YouTube, DailyMotion, Metacafe, etc. FileZilla Portable. A remote file manager supporting FTP, SFTP and many more standard file transfer protocols. You can easily download/upload files to/from servers. Free Download Manager Portable. A download manager. Supports pausing and resuming of torrent downloads, flash video downloads and other download files. Google Chrome Portable. A fast and efficient web browser from Google that lets you browse web pages and applications with great speed. gPodder Portable. A user-friendly podcast player and subscriber that manages your podcast subscriptions and lets you download and listen podcasts. LAN Messenger Portable. A peer-to-peer chatting tool that allows transferring files and chatting with the local users without the need of a server. Mozilla Firefox Portable. A popular web browser that carries your bookmarks, saved user details and passwords and extensions, and lets you browse effectively. Mozilla Thunderbird Portable. A well-known email client that carries your emails, contacts and account settings everywhere and lets you browse them on the go. KompoZer Portable. A fluid web editor, similar to Dreamweaver and Microsoft FrontPage, which allows CSS editing, color picking, spell checking, etc. Opera Portable. A lightweight web browser, which is fully customizable and designed for lightning speed web browsing. Pidgin Portable. An effective instant messaging client that carries your IM settings and friend lists and supports AOL, Yahoo, Jabber, MSN and ICQ networks. PuTTY Portable. A Telnet and SSH client for Windows that lets you connect remote PC’s and servers with an ‘xterm‘ terminal emulator. QuiteRSS Portable. QuiteRSS Portable is a RSS reader that manages and monitors your RSS feed subscriptions and lets you read them anywhere. Skype Portable. A popular VoIP that offers instant messaging, audio and video conferencing and phone calling around the world. 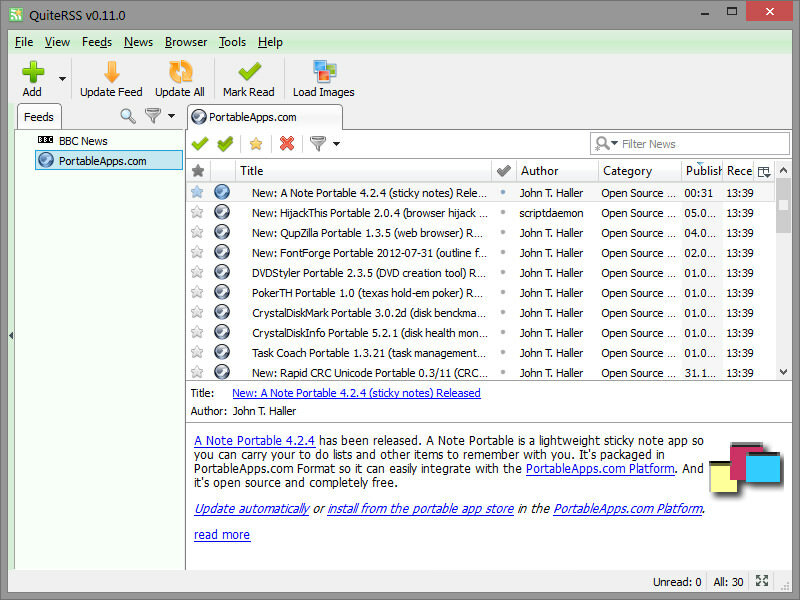 uTorrent Portable. A popular BitTorrent client that supports downloading on the go and features auto-downloading, scheduling and bandwidth prioritizing. AIMP Portable. 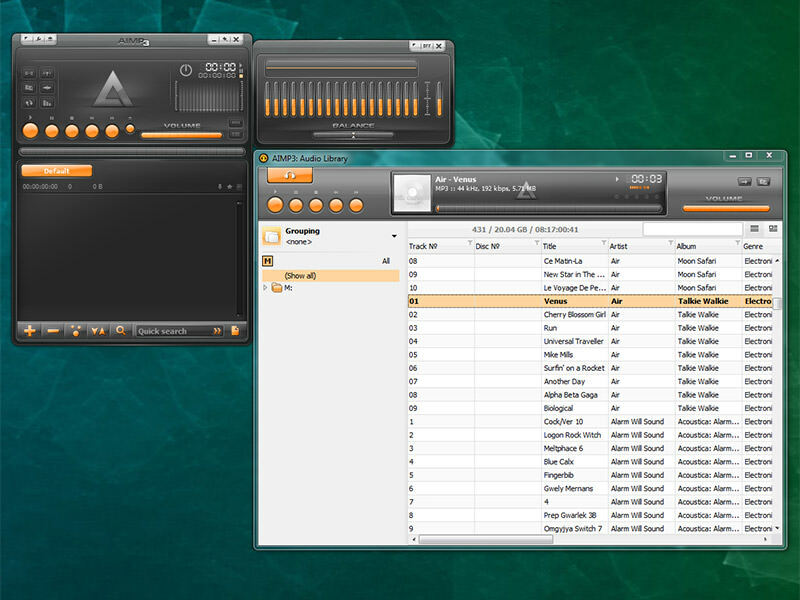 A full-featured music player and audio converter with multiple options and functionalities, and supports more than 20 formats. Audacity Portable. An audio recorder and editor where you can carry your audio files and mix them anywhere on the go. CDEx Portable. Extract audio data straight from audio CDs. The audio files can be saved in multiple formats and can be named automatically. InfraRecorder Portable. A CD burning tool that allows custom data creation, audio and mixed-mode projects and recording them to images or original discs. 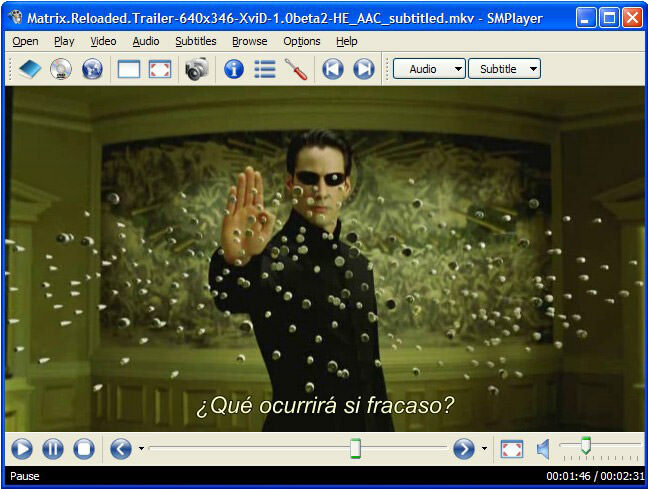 SMPlayer Portable. A handy video player that supports switching audio tracks, video equalizing, configuring subalts and doing much more. VirtualDub Portable. A desktop video processor and capture tool, which can process large number of files and can even be used with third-party video filters. 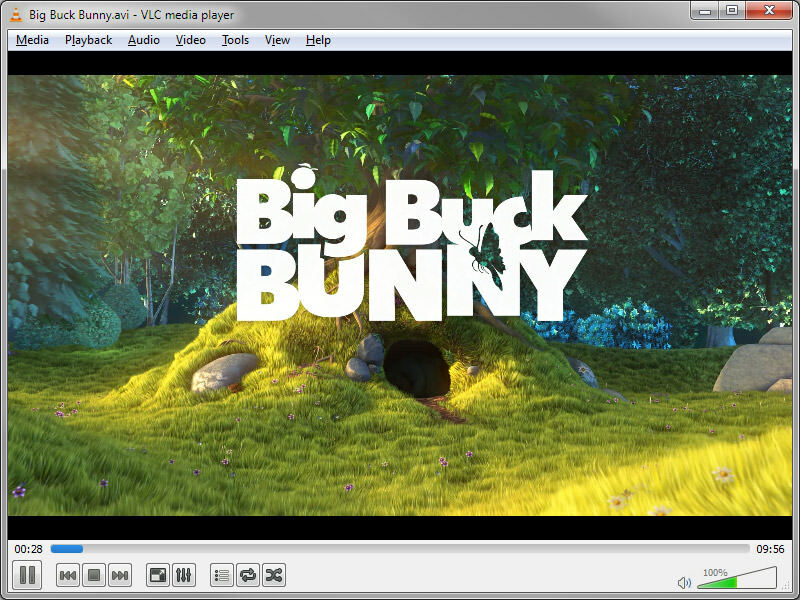 VLC Media Player Portable. Play audio and video files of multiple formats with high control options and customization features. AbiWord Portable. A lightweight word processing app that lets you edit documents like that of MS Word, Open Document, Office Open XML, Word Perfect, etc. Apache OpenOffice Portable. Full-featured office suite including word processor that supports all office features including editing and formatting. CintaNotes Portable. A note taking app that allows saving and tagging information for later use quite like Windows’s sticky notes. Evince Portable. A document viewer that supports multiple document formats like PDF, TIFF, DVI, PostScript and comic book formats. Foxit Reader Portable. 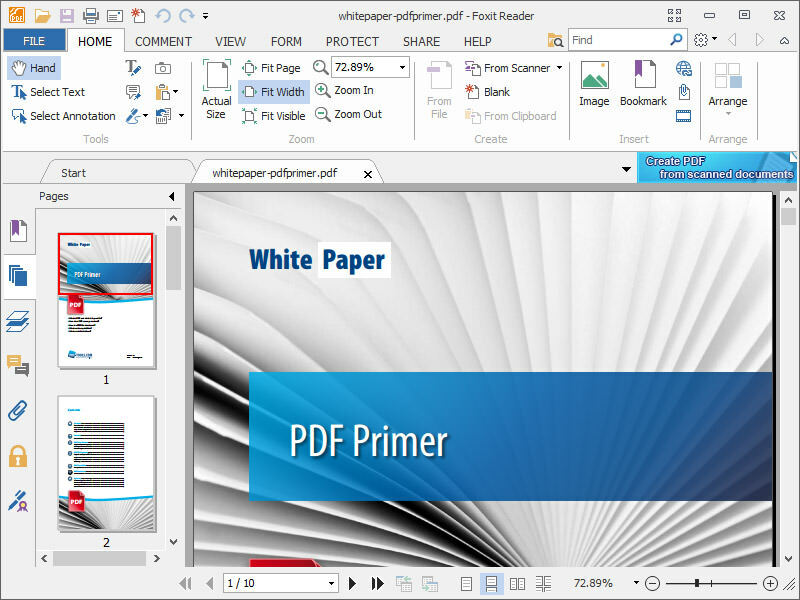 A free PDF document creator and viewer that works very fast and fluid, and can be used for multiple purposes. Gnumeric Portable. A spreadsheet tool that supports multiple formats, and works very fast and accurately to provide you a complete Excel-like environment. 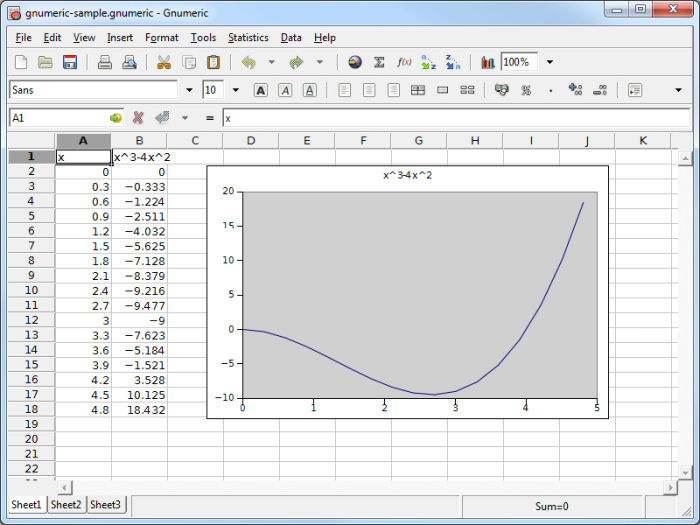 LibreOffice Portable. An office suite that supports document viewing and editing. It is compatible with MS Office, MS Excel, Word Perfect, Lotus, etc. Money Manager Ex Portable. A financing tool that lets you organize your personal or business finances and track them easily anywhere. Scribus Portable. An open-source tool that delivers a professional page layout to your desktop with press-ready output-able page designs. Sumatra PDF Portable. A lightweight and minimalistic PDF and comic reader for Windows that allows reading the files just like Foxit Reader. ClamWin Portable. Lets you carry your antivirus with you so that you can scan files on the go and detect malware and viruses easily. Eraser Portable. A data removal tool for Windows that supports secure data deletion and wiping even on the go. GPG Plugin Portable. Lets you encrypt and sign your data and communications, and can also be used as an add-on by Thunderbird Portable. HijackThis Portable. 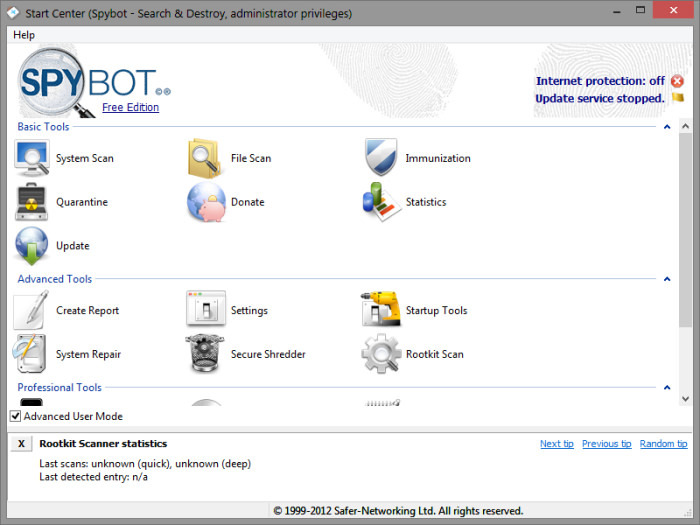 Scan systems and detect the changes made by malware and other tools. You can also find and reset the changed settings. KeePass Portable. Stores passwords of your online accounts so that you can access them anywhere without the need to remember them. PeerBlock Portable. An IP firewall that can blacklist and whitelist websites and IP addresses of advertisements, monitoring software and spyware. Spybot Portable. A malware and spyware remover that can clean up spy tracks from your system, remove adware programs and fix registry issues. 7-Zip Portable. Lets you archive files and work on the compressed files from multiple ZIP formats like ZIP, 7Z, TAR, RAR, etc. Ant Renamer Portable. Allows renaming multiple files and folders by using specific settings, and it also supports Unicode names. Autoruns Portable. A utility tool for managing auto-starts and lets you manage the auto-start programs and toolbars on your computer. BleachBit Portable. Clears up disk space and junk files from your computer and guards your privacy. It also erases cache, clears browser history and do much more. CamStudio Portable. Records the entire screen along with audio on your computer, and stores it into a video or streaming flash file. Clicky Gone Portable. Lets you hide browser windows and taskbar buttons from the desktop and allows viewing them back with the click of the mouse. Command Prompt Portable. Lets you add a customizable command prompt on any Windows computer and execute commands to do things quickly. ConvertAll Portable. A handy unit converter that also supports converting more than 400 units into each other. CPU-Z Portable. Displays information on a system’s CPU, memory, graphics card and motherboard. Diffpdf Portable. A PDF comparison program that displays the difference in PDF files visually or textually by comparing the page appearances. Ditto Portable. Saves any item on a clipboard like images, texts, HTML, etc. and lets you access them at a later time. 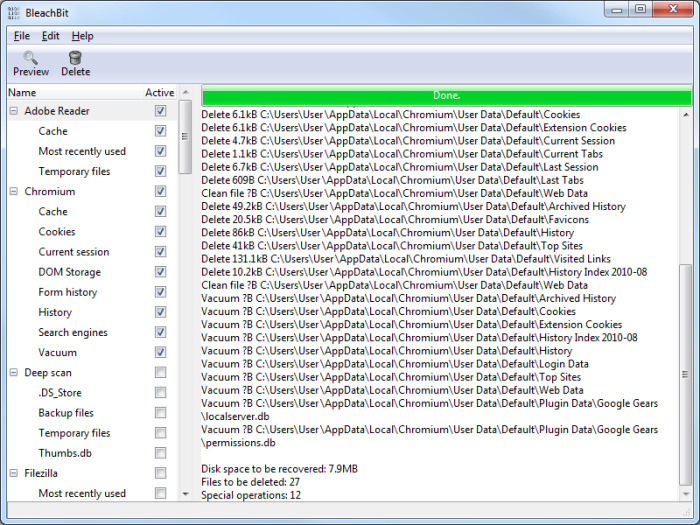 DTaskManager Portable. Provides additional features to the integrated Windows task manager, which does not comes included with the default tool. DSynchronize Portable. Periodically synchronizes one or multiple folders on your computer hard drive or FTP server. Explorer++ Portable. 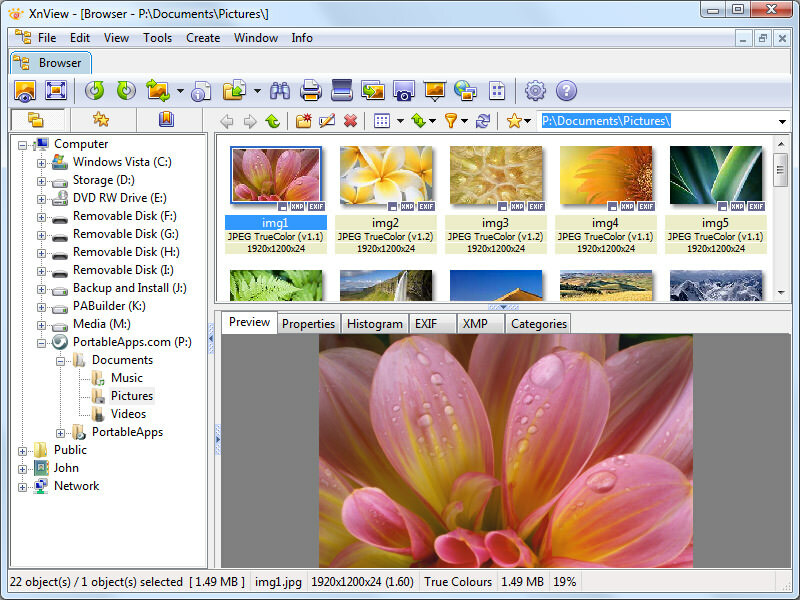 A multi-tab file manager, which is similar to Windows Explorer but includes more advance functionalities. FastCopy Portable. A file copying and moving utility that chooses different approaches to check and improve the transfer speeds. FreeCommander XE Portable. An alternative program to Windows file manager with more advanced features and functions like Explorer++. GPU-Z Portable. 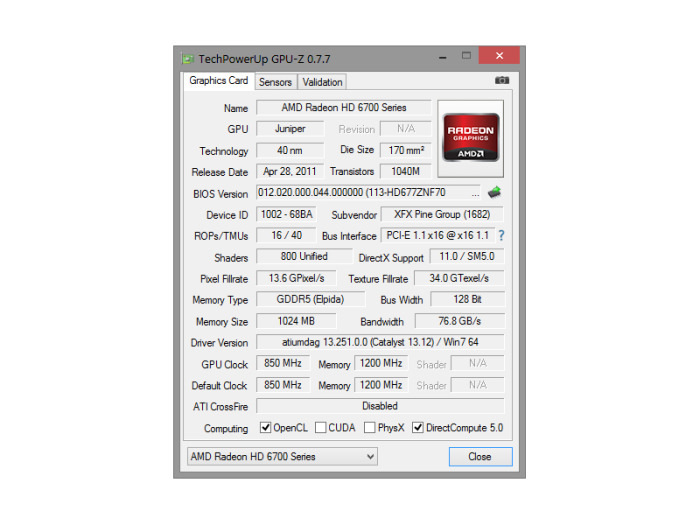 Offers vital information about your graphics card and video card processor. grepWin Portable. An easy to use search and replace tool that works powerfully and even allows using regular expressions to perform queries. IObit Uninstaller Portable. Remove the unwanted programs from your computer; a great alternative to Windows’s Add/Remove Programs. IObit Unlocker Portable. Lets you learn which program has locked a file to prevent deletion and unlocks that file for your task. jPortable. Runs a full-featured Java Runtime Environment in the programs where Java is disabled or not installed in the remote PC. PeaZip Portable. Unzips or compresses zip files on the way; supports multiple zip formats like ZIP, TAR, RAR, 7Z, BZ2, PEA, etc. 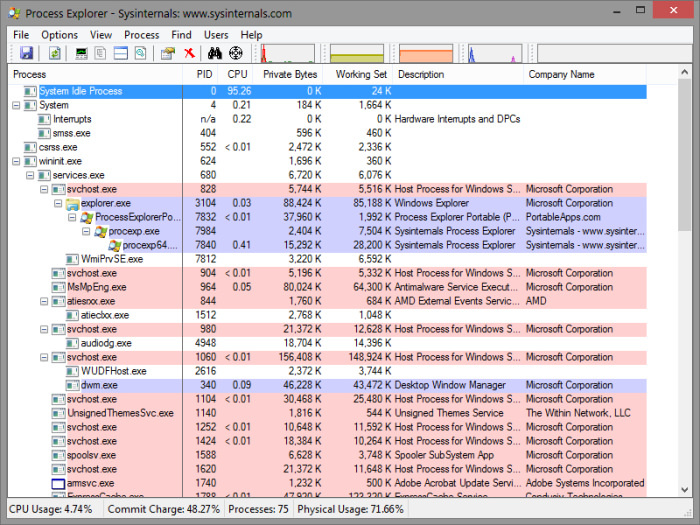 Process Explorer Portable. 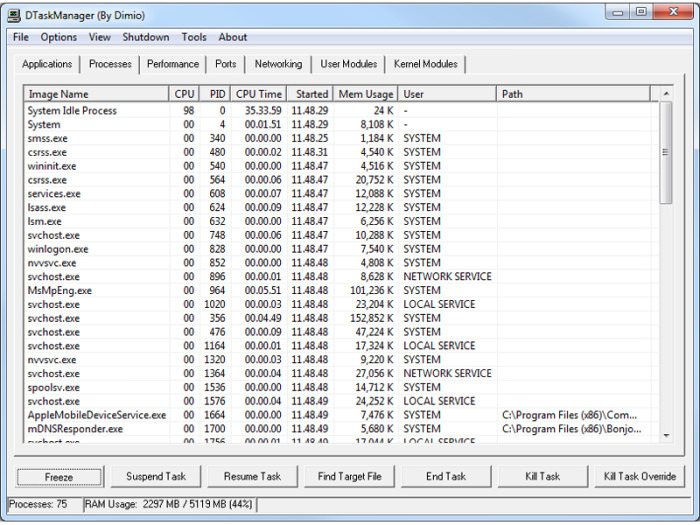 A process analyzer and task manager that can exercise into DLLs and handles the running or loaded processes. Rapid CRC Unicode Portable. A hashing tool that lets you analyze and verify and estimate hashes in multiple hash formats. RegAlyzer Portable. An efficient tool that browses and changes the registry, and is more advanced than the ‘regedit’ program of Windows. SIW Portable. Collects detailed information about your system properties and settings, and displays them in an understandable way. Smart Defrag Portable. A disk defragmenter that works at lightning speed and proves much exceptional than Windows built-in disk defragmentation tool. TeamViewer Portable. A remote PC controller and screen sharing application that lets you control your partner’s computer to provide online assistance. TinyTask Portable. Records and plays back mouse movements and keystrokes on your portable device with easy automation. UNetbootin Portable. Lets you generate bootable live USB drives for Ubuntu and other Linux systems without burning optical disks. VirtuaWin Portable. A desktop manager that can enable up to 9 virtual desktops with independent application windows. WinCDEmu Portable. A CD/DVD emulator that can mount ISO and other image files, and displays them with drive letters in the computer. WinDirStat Portable. 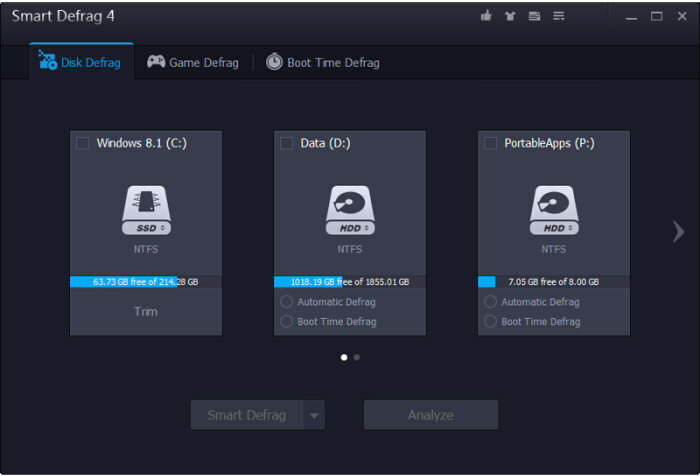 A disk usage analyzer and cleanup program that can analyze the contents of your hard disk device and even cleans up space. Wise Data Recovery Portable. A data recovery program that recovers files and folders that are deleted by mistake. World Clock Portable. 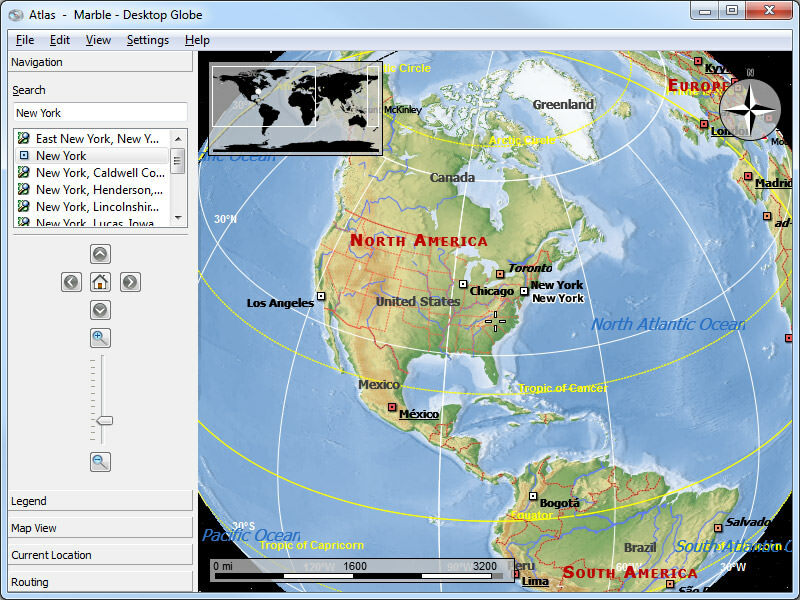 Displays multiple time zones from around the world, allowing you to select and view 8 different time zones. On-Screen Keyboard Portable. Lets you carry your system’s built-in keyboard settings with flexibility, and lets you use an on-screen keyboard. What’s your favorite portable app? What portable apps are you planning to take in your pen drive? Let us know via comments section below.